You can root your Samsung Galaxy S8 Plus by using this tutorial. Galaxy S8 Plus shipped with Android 7.0 Nougat, and after almost a year, the device received the first major system update. The new Android 8.0 Oreo has also started rolling for the Qualcomm Snapdragon variant, which means, all the Exynox devices have already received it. However, once you upgrade your device, you will lose your root access. 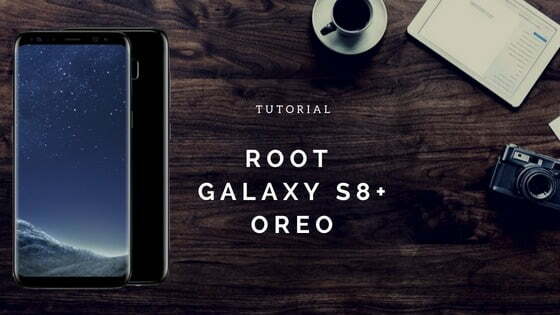 Fortunately, we have a complete guide on how to root Galaxy S8+ running Android 8.0 Oreo. You can read the guide below to root your Galaxy S8 Plus on the latest firmware using TWRP Custom Recovery and Magisk tool. Thankfully, the device got official TWRP support, and hence the rooting will be easy. Our choice of root utility is always Magisk, thanks to the system-less approach and compatibility. But before actually performing the tutorial, please make sure to backup all your data as no one knows when something goes wrong. These procedures sometimes wipe your system partition which may result in data loss. Samsung users can use Samsung Smart Switch to backup data on the computer. Smart Switch allows user even to move data from one device to another of different variant (like moving data of Galaxy S7 to Galaxy S8). Your phone must be on the latest software version. If not, check out: How to Update Galaxy S8 Plus to Android 8.0 Oreo. You must have TWRP Custom Recovery installed from before. If not, check out: How to Install TWRP on Galaxy S8 Plus. We are using Magisk root utility to root Galaxy S8 Plus. It functions by simply patching the boot images and other related files without touching the main system partition. This means root via Magisk is much cleaner and is easy to uninstall. Once you root via Magisk, there is no difference between systemless root or root gained by modifying the system partition. Instead, Magisk has its own module which gives an extra area over other root solution. This rooting tutorial is ONLY for Galaxy S8 Plus (Exynos Octa-core CPU). Please don’t try in the Qualcomm Snapdragon variant. Official Firmware: First of all, make sure your Galaxy S8 Plus should be in the Official Android 8.0 Oreo firmware. If not, please update it first and then proceed to the tutorial below. We have mentioned full step-by-step instructions on How to Root Galaxy S8 Plus on Android 8.0 Oreo. If you are entirely new to rooting, flashing a Custom ROM or an Official Firmware, please read the entire tutorial once before actually performing it on your device. Note: Make sure your phone is not modified. Please read the tutorial from the link above to root Galaxy S8 Plus. The procedure has been described properly with screenshots. If you got stuck somewhere, drop your comment below, and we will help you as soon as possible. Does this work for SM-G955U? Do you know how to root S8 Plus (SM-G955FD) on Android 9.0 Pie?